“We’ll make sure all government venues are not available to him,” Mr McGowan said “Anyone who defends pedophiles and associates with Nazis, I don’t think is a rational person, we shouldn’t have them delivering lectures and performances to West Australians,” Mr McGowan said. 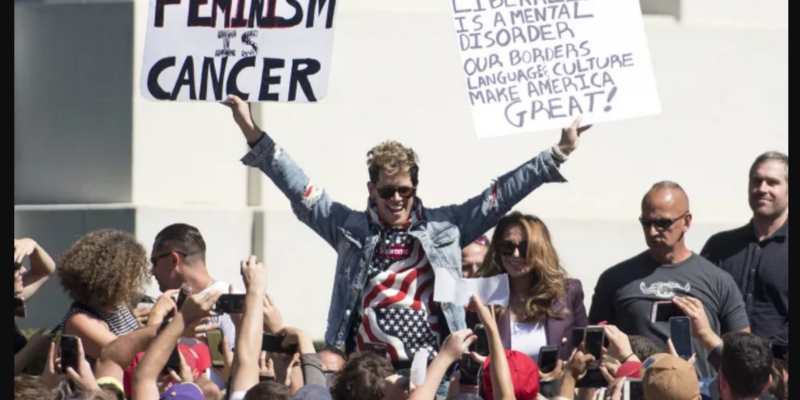 Mr Yiannopoulos, a self-described ‘supervillain’ and ‘anti-feminist’, infamous for his conservative views on immigration, gay rights, and feminism is holding an Australian speaking tour in November and December this year. The 33 year old was forced to resign from right wing news site Breitbart in February, following comments made by Yiannopoulos during a podcast in 2015 supposedly in defence of pedophilia. Penthouse publisher Damien Costas who is bringing Milo to Australia for the ‘Troll Academy’ national tour starting in Sydney on November 30 2017 and visiting Perth on December 2 as well as staging shows in Adelaide, Melbourne, Sydney and the Gold Coast is shocked and horrified that the Western Australia is banning free speech in Western Australia. Author of New York Times bestseller Dangerous, Milo Yannopoulos. An online petition to deny Yiannopoulos a visa to Australia has failed with former Labor Leader Mark Latham launching a counter-petition to let him in. The ‘United Against Bigotry and Racism’ group is planning to stage a protest against the controversial speaker when he arrives in Perth. Venues for the ‘Troll Academy’ tour are being kept secret until a week prior to events to prevent organised vandalism from protesters. This article was first published at The Typewriter on Wednesday 25 October 2017.